Would love to see the sample code, because it looks like upshot.js is kinda undocumented at the moment. Where do we find the html helper for mvc? 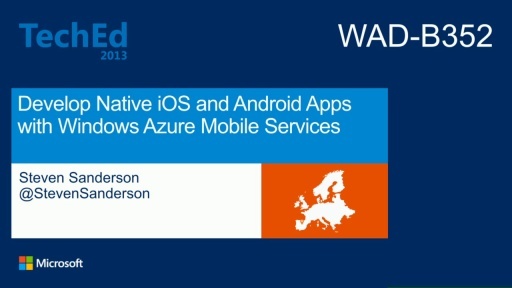 For me this was the best session at techdays. Great session, this is a must-see. We're also setting up an Upshot/SPA website where we'll put more docs and samples. Thanks Steve, awesome presentation at techdays! From the first till the last word I was focussed. No minute spoiled. Thank you very much Steve it was realy helpfull. Btw, what's the name of the source control system Steve is using? Indeed an awesome presentation! I was wondering, what tool or feature did you use to copy your code snippets during your presentation? 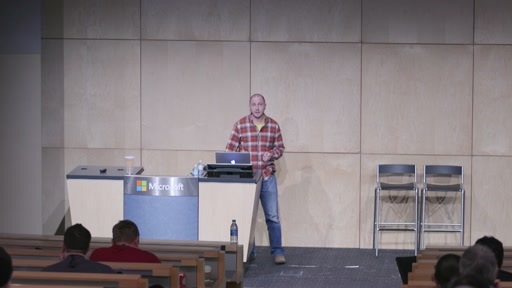 You and Scott Hanselman are two of the best speakers I have ever listened. Very nice session and every second of it was worth watching. Thanks! This was a great session. Flawless presentation and good speed discussing topics. Got me on the edge of my seat. it delivers you knockout.js etc. but the sample that Steve runs, e.g. returns XML as a format, instead of Json. So, it looks like something seriously has changed in the current MVC runtime. When switching to Mobile, Steve hits a button in his browser that switches to iPhone. Is that a plugin in or something? Oh man Steve! This is so beautiful. An incredible presentation, covering a variety of important topics, clear instructions, smooth flow and a great looking demo app at the end. After knockout, now I am digging upshot.js. Does anyone know how Steve seeded his data in the demo? It was hidden from view (at position 18m15s). Lots of Data access features shown are already in the Silverlight Rich Internet application (RIA), which I felt is very easier than SPA. If Microsoft put some efforts on releasing Silverlight plug-in for Android and iOS and some new Mobile Industry features like app store, local storage. Actually make development very easy. But I must say awesome presentation by Steve. Comment removed at user's request. Could anybody help me find which extension is for Chrome is used in this presentation to emulate other browsers at 47:57? This looks like a very useful feature. When / where will the sample code used in this presentation be released? After I add the TasksController, I get problems involving my connection to my SQL server. We have a development SQL server here, and I have updated the connectionstring in the web.config. This is one of the best sessions I've watched. Was impressed by the other presentation of Steve's regarding knockout.js. Got excited when I saw ScottGu's presentation on Mvc 4. This is the icing on the cake. Very powerful stuff and very well presented. @Steve: Any update about the used source code in the TechDays presentation? It was an awesome presentation with a nice demo app indeed and I just want to go through it again. Super cool video. Feels like lot to learn with so many new libraries. @Arthur: I'm pretty sure it is "User-Agent Switcher for Chrome", it looks very similar to the one he demoed this week at the MVP Summit. Hope it helps - it took me a couple of hours to solve it. superb and inspirational! Well done, this is where I'd like to take my development in the next few years! 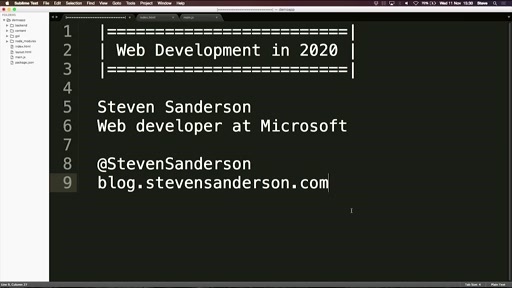 Really feel proud to be a Microsoft Web Developer.. It seems that the DbDataController only supports EntityFrameWork entities, this means that my model entities should be real Entities. It's not possible to use ViewModels anymore. So my question is : what's the design concerning ViewModels when using this new Upshot.js to access the DbDataController ? I've also posted a question on StackOverflow, maybe you can take a look and shed some light on this issue. Is there a release date planned for the offline data stores? Also is there any documentation available for Upshot? AWESOME! Thanks Steve for this great session. Besides, the technology presented is brilliant too! Great Video. Super fast explanation of so many different items in such a short time, seems like the video is only 5 minutes long. I take it as a reference now for every project I start using the same set of techniques. 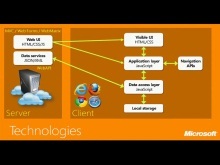 Definitely a reference for client side apps even if the back end is not Microsoft based. Steve, we all Microsoft developers have to appreciate your geniality. Thanks for making the source code available. Thanks for this. It works great. Unfortunately, the first modification I made was to add a date field to the model. This causes the entire project to come to a crashing halt because of what appears to be a conflict between the json.net and upshot.js libraries. Any idea on when this will be fixed or when a workaround will be available? Thanks. Hi Stephen,, how are Single Page Apps and WCF RIA Services and the support it is creating for non-Silverlight client with RIA/JS related? Awesome Steve, i will start a project now ! Brilliant technology, excellently presented. Nice work. Please if anyone know which Google chrome extension is use for mobile phone emulating in this awesome video. Good to see Microsoft working in this direction. I do not see why anyone thinks this is great. It is a return to notepad development! I would never want a piece of java script acting as a view model, there was not a single bit of intellisense confirming that the object model is correctly bound, and the UI is directly bound to the implementation of the database. This isn't a return to "great web development" but a return to the horrid web development prior to WCF, XAML, and true MVVM implementations with C# classes behind the UI. Awesome presentation, one of the best I've ever seen. But, no idea how to set source url for different environment? PhoneGap use WebView/UIWebView of Android/iOS for render page. WebView in PhoneGap can work only with html pages which are packed to the app. Warning: This video will get you very excited, you may think yes this is how will write my next online/offline mobile app. If you do then prepare to cry, as you will then boot up VS2012 and find that the SPA project template has been removed. Oh Microsoft you do like to torture us poor devs. Can anyone give me some pointers to another tutorial which shows a way to achive the same results without using the SPA template? @DangerMoose: well SPA its not some thing what you can not use without template. Go ahead install upshot.js from NUget, install knockout and start with your application. 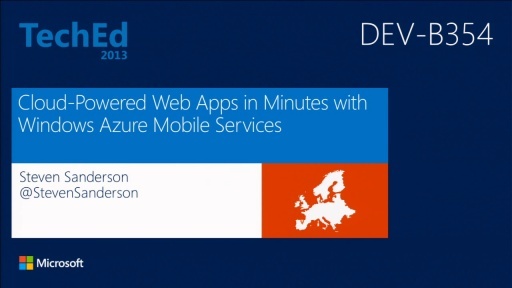 Also if you watch presentation he mentions that its SPA is part of Asp.net MVC 4 did you installed it? Thanks @Belkin, I will start learning upshot & knockout and hope the SPA template returns soon. I'm currently designing a new application using EF but I have an extra abstraction layer above the EF code (to cater for more complex database scenarios other than simple CRUD) which means that the layer exposed to my web api isn't a DataController but just a normal class library. Is there any way to get upshot work in this case or do I have to get rid of this extra layer of abstraction? Hi would love to build this app but do not have sql express, will it work with sql server 2008?? Just to let you know that I think this indeed a dense and, most of all, awesome presentation. You really did a great job. Well done. In VS 2012 SPA is under Visual F# | ASPNET with the name "F# and C# Web Application (ASP.NET MVC 4)". Or click online tab and search for SPA/Single page. Great presentation! It was clear and to the point. However, I've had no success (after over a week of failed attempts) with getting this up and running. The VS2010/Nugget setup is BUGGY AS HELL! There is no greater let down than getting amazed by sweet ASP.NET/MVC4/HTML5/Offline goodness only to realize later on that IT'S NOT READY YET! Such a shame!!! 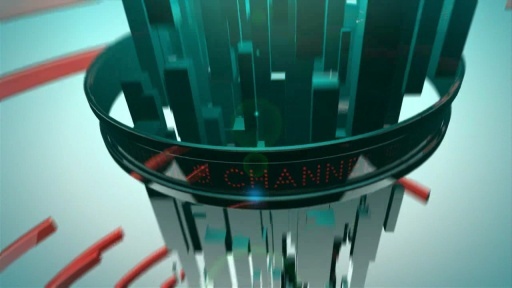 Channel9 videos don't run on Windows RT/Surface RT. I am getting an message that it requires Silverlight installed because browser doesn't support h264 mp4 html5 natively. Come on guys really!!! @Gaja Kannan:Check your Format, you might be forcing Silverlight (aka smooth andor progressive), click on the "Format" button under the video to see. @SteveThank you for pointing me this way. Love the approach to create webapplications this way. I'm always looking forward to see your sessions! You are my hero too! Creating the constructor with the connection string solved my problems!